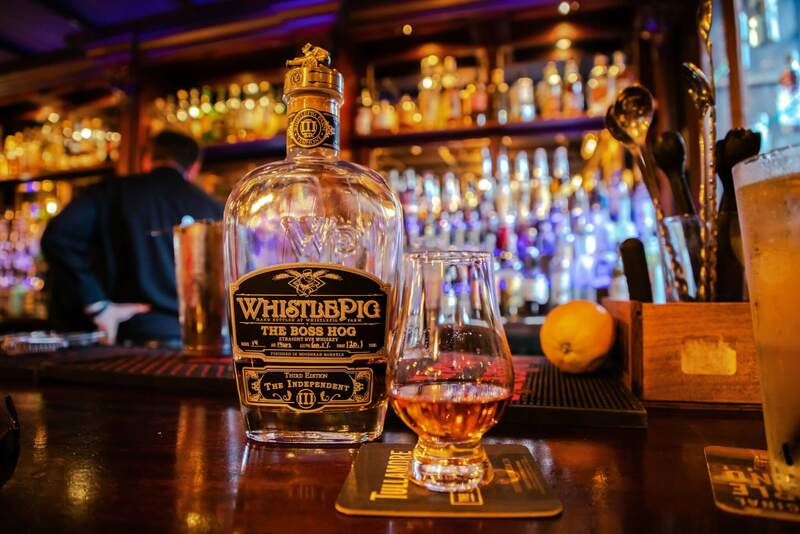 WhistlePig is a success story I never saw coming. On the scene for less than a decade, the distillery has firmly positioned itself as a premium rye brand despite sourcing almost every release. Some of the whiskey is some Canada. Much of it is MGP rye. Ok, plenty of companies use MGP rye and achieve great results (see SAOS) so I’m not seeing a problem yet. The Boss Hog series has taken on a life of its own in recent years and I’m all for a series gaining steam as it achieves success. What doesn’t make sense to me is the pricing. Each successive release has driven the MSRP from around $250 up to $500 for a bottle. Let’s think about that for a second. A distillery that up until last year didn’t sell a drop of their own distillate is selling someone else’s product for $500 a bottle. More baffling still (at least to me) is that people are buying it. Hey, I get it. It’s whisk(e)y in 2018 and it’s very much a seller’s market. If people are paying hundreds of dollars for bottles like this, why wouldn’t WhistlePig sell at those prices? The buyers ultimately determine pricing. If no one bought this at $500 but started buying again at $150 per bottle, then the price would probably change. That’s not happening any time soon. In the end, WhistlePig is doing an amazing job of marketing themselves. They are a “farm” distillery that is admittedly doing a great job using their own local Vermont oak to age their spirits in. If you check them out on social media, you’ll find that their Instagram account often features globally popular content of large steaks, cool bartender videos, etc. That approach has gained them almost 200,000 followers on Instagram alone. Couple the branding strategy with a market that’s dying for every limited release that it can get its hands on and you’re looking at a line of very successful, very expensive limited expressions from a distillery that didn’t even exist 10 years ago. Of course, at the heart of any review is the whiskey itself. The third edition of Boss Hog is a 14 year old rye clocking in at a nice 60.1% ABV and finished in hogshead barrels. This is my first Boss Hog experience so I was really interested to see how their stuff was. Nose Spicy, caramel, vanilla, slightly floral, herbal, bourbony new oak. Taste A big blast of herb garden, dill, more vanilla, clove, stewed berries. Finish Oaky, white pepper, earthy, some cherry and a hint of pear. Overall Thoughts I mean, ok? It’s actually pretty good. There some depth and a nice progression but I don’t fully understand the Boss Hog hype, especially for the price. Good job to WhistlePig for some excellent marketing.